Having lost her husband, her parents, and her two young sons to the Nazi exterminators, Olga Lengyel had little to live for during her seven-month internment in Auschwitz. Only Lengyel's work in the prisoners' underground resistance and the need to tell this story kept her fighting for survival. She survived by her wit and incredible strength. Despite her horrifying closeness to the subject, FIVE CHIMNEYS does not retreat into self-pity or sensationalism. When first published (two years after World War 2 ended), Albert Einstein was so moved by her story that he wrote a personal letter to Lengyel, thanking her for her ""very frank, very well written book"". Today, with 'ethnic cleansing' in Bosnia, and neo-Nazism on the rise in western Europe, we cannot afford to forget the grisly lessons of the Holocaust. 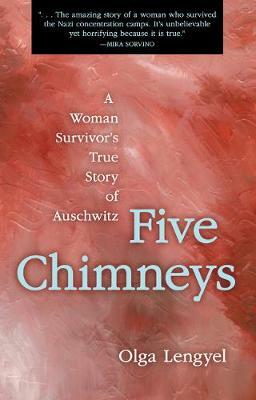 FIVE CHIMNEYS is a stark reminder that the unspeakable can happen wherever and whenever ethnic hatreds, religious bigotries, and racial discriminations are permitted to exist.